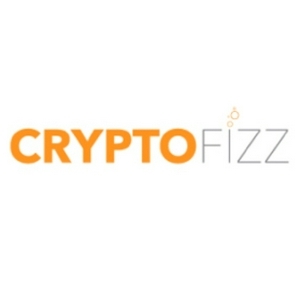 Crypto Fizz is a blockchain news and investment site. This is our weekly podcast where we discuss goings on in the crypto world and have special guests. This is a special podcast where we discuss "The Two Week Portfolio - Invest Like a Crypto Millionaire". Billy explains his catalyst investing strategy, principles, and the resources he uses to Buy the Rumor, Sell the News. The Two Week Portfolio - Invest Like a Crypto Millionaire Brave Private Internet Browser - No More Ad's or Tracker We are not financial advisers. Do your own research. Litepay, NEO, Edgeless, ONT, Smart Contracts with a Special Guest and more! Crypto Polls, FunFair Bittrex Delisting, Portfolio Rebalance, and Smart Contracts. In this podcast of Our Two Satoshis, we discuss Crypto Polls and how people segment into different groups and evagelize the crypto they back. The fun that we have had seeing all of the crazy comments from the community. Who you would rather have by your side in a bar fight, John Mcafee or The Winklevoss Twins. What Basic Attention Token and Brave Browser are working to change with the current state of advertising and how they are positioned to overcome the Facebook Crypto Ad Ban. FunFair being delisted from Bittrex exchange and what that means. Our thoughts on portfolio rebalancing during coinageddon 2018 and which coins we are interested in (Syscoin, FunFair, Bancor, Edgeless, Wagerr, Ripple, Ethereum, and more!). Lastly, a preview of a segment we will have next week when we have a smart contract developer on to discuss issues with the current state and how the community is trying to overcome them. Weiss Ratings, Robinhood trading crypto, Syscoin, Bancor, Vchain, and more! Cryptocurrency Coinageddon 2018, who we are, and whats on our Radar! In our first podcast for CryptoFizz.com, Billy and I introduce ourselves, talk about our site. We also discuss Coinageddon 2018 and current market trends, our latest articles on: FunFair (FUN), UniKoin Gold (UKG), MyOddz.bet (ODDZ), and other gambling tokens. Funfair - What the book says: http://cryptofizz.com/funfair-what-the-book-says/ UniKoin Gold - Get paid to play: http://cryptofizz.com/unikoin-gold-get-paid-to-play/ MyOddz.bet Q&A - with founder Richard Lehane: http://cryptofizz.com/oddz-qa-with-founder-richard-lehane/ We are not financial advisers. Do your own research.